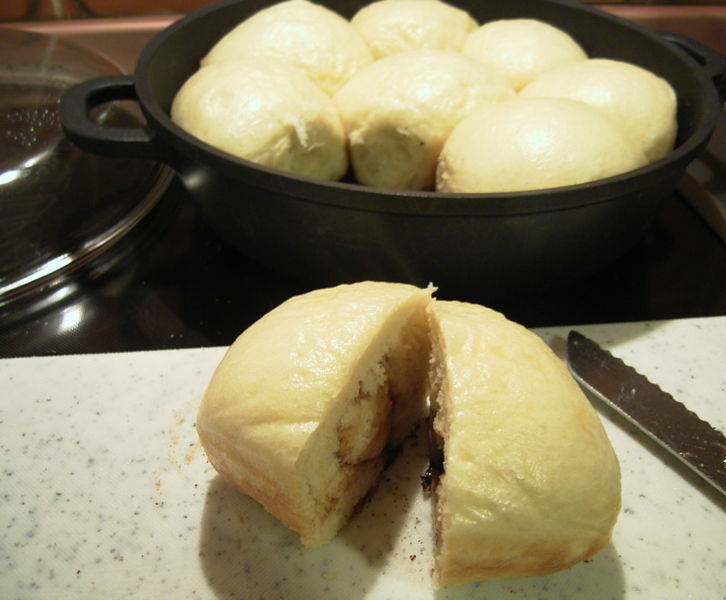 Dampfnudel (lit. "steam-noodle") is a sort of white bread eaten as a meal or as a dessert in Germany. It's a typical southern German dish. Dampfnudels are made from a dough composed of white flour, water, yeast, salt, butter or margarine, and sometimes also eggs and sometimes a little sugar. 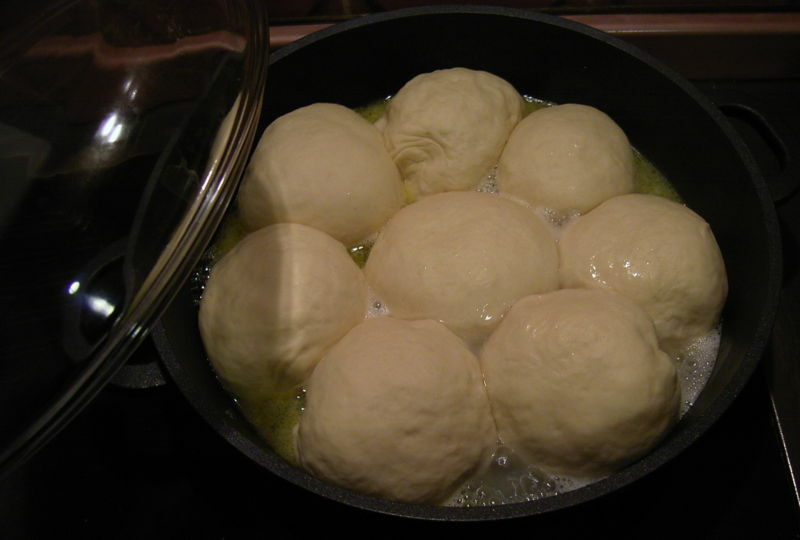 The dough is formed into balls about the size of an egg, left to rise and then cooked in a closed pot, preferably a high-rimmed iron pan with a lid, with milk and butter (or salt water and fat) until a golden brown crust forms at the bottom after the liquid has evaporated. The tops remain white. Dampfnudels are typically served as a main dish with savoury accompaniment such as cabbage, salad, gherkins, potato soup, or mushrooms in white sauce. They can also be served as a dessert with vanilla custard, jam, or boiled fruit.